1)Don't assume the Republicans aren't willing to ruin millions of lives with risk of death, ill health, and bankruptcy. 19 Republican-governor states have refused to extend Medicaid under ObamaCare (a right given to them in a surprise Supreme Court decision a few years back). This has left well over a million people in those states (not dirt poor to qualify for standard pre-ObamaCare Medicaid, or dirt poor but without children and still not qualifying, and not making at least 100% of the Federal poverty level to qualify in those states for subsidized ObamaCare) without health insurance. These million plus people are generally left to go to the emergency room, where they can get their diseases "stabilized" under pre-ObamaCare law, but they still get billed, and can be sued for those bills until bankrupt. Trump has said he will be offering his repeal and replace bills shortly. He said during the campaign that his replacement would be a "fabulous, fabulous plan", and has said "everyone will be covered" but even his supporters don't take him literally, and have noted an inclination towards huckstery language which may be completely empty and misleading ("fabulous, fabulous"). Further, experts on health insurance are pretty sure that the only way to get nearly everyone covered is a plan with mandates to carry coverage, like ObamaCare (and in MA, RomneyCare before it), or some sort of single-payer of government provided services, like the U.K.). This is one reason to believe that tens of millions of Americans are going to be in trouble when the repeal/replace kicks in. Now, the old system can and did make insurance very cheap for people who happened to be in impeccable health when they pick up non-employer health insurance, and so can get private insurance with all the other impeccable-health people. But, the non-impeccable-health people have to try for the risk pool, if any is available, and if they qualify. The long table at the bottom of this web-page is actually my own study of that from about 9 years ago of the high-risk pools. The problems were humongous: the plans were often pretty expensive (I recall $30,000 a year premium plus stop-loss for one person aged 60 to 64 in CT), in half to 3/4 of states the state had not enough money, or an incompetent enough government, to leave people ineligible even if they could get no other health insurance, and had responsibly maintained health insurance all of their lives prior to needing the pool. Or, the pool was closed, due to lack of money, or had a $50,000 a year limit on the medical bills it would pay for you. In short, under the old pre-existing-condition-screening + high-risk-pool system, many people, unaware of the full system, tended to be fooled and feel safe, because they were pretty healthy when they bought non-job insurance, but they always had a pretty good risk of things really going south on them, with bankruptcy and death, etc., if they got sick, especially as they got older. (The fooled people typically were sold wasteful, high-marketing-cost insurance, that only payed out 65% to 70% of premiums for medical bills--whereas now ObamaCare requires 80%, and gosh, I can't think of ever hearing any Republican mention this 65% to 70% ripoff aspect. My old high-risk pool study, in the big table, at bottom, is kind of abstract, has had no human editor correcting my typos, etc. Further, the links, being to high-risk-pool sites that haven't existed for 3 years under ObamaCare, are mostly dead. For an understanding of the problems, I highly recommend this Excellent New York Times Article on the Problems with the Old-Pre-ObamaCare state high-risk-pools. e)The high-risk-pools of Ryan are state-run, as before. In my prior examination of these state pools about 9 years ago, before ObamaCare (big table at the bottom of this page or substitute the Excellent New York Times Article on the Problems with the Old-Pre-ObamaCare state high-risk-pools. ), 1/2 to 3/4 of the states really bungled the eligibiliy requirements for them, so that even people who responsibly maintained health insurance all of their lives prior to needing the state pool could be ineligible, bankrupted, and dead because of ineligibility when they needed the pool. Throwing all of the ObamaCare money at these pools might help with the states needs to close pools, and otherwise keep people inelibible, but I really wouldn't count on each state having a solid pool. (Ryan mentions, in the CNN clip, WI, WA, UT as having, pre-ObamaCare, good high risk pools. Indeed, when I reviewed all the state high risk pools 9 years ago--the big table at the bottom -- WI, WA, and UT had smaller problems than most. Still, in Utah, there were problems for people moving in from other states (perhaps moving home to be with family when sick and dying), and rates at the time could hit $11,000 a year per person. (I imagine, with medical inflation, now about $16,000 a year per person.) In Washington, sound eligibility, but rates could hit $14,000 a year per person. $20,000 a year now? In Wisonsin, the eligibility was not so perfect--I deduced trouble in your current insurer went bankrupt or pulled out of the state (due to a 6 month exclusion of pre-existing conditions coming from non-job-based continuous prior coverage in the high risk pool). Wisconsin also had trouble for people moving in or back to the state. f)The other 47 states were generally worse than these 3. The new Ryan high-risk-pools will function to move the health insurance problem, and its failures, the bankruptcies, the deaths, back to the states so that the states can take any blame, and so that the clarity of the problem becomes unclear, being a disorganized collection of 50 different sets of problems for 50 states with different high-risk-pool eligibility, coverage, and widely differing premiums. (On the high risk pools, the offered amount of Federal funding that can be used for the high risk pools has varied in some of the Republican proposals from $2.5 billion a year to $10 billion a year. It looks like the amount of money needed would be in the ballpark area of $90 billion a year or more. See this Commonwealth fund article, where I think the ballpark $91.5 billion dollar a year number is roughly correct, and may be low. That suggests still greater subsidies would be needed to replicate Obamacare's goal of universal coverage for the already-sick. Minnesota's high-risk pool lost about $6,000 per enrollee in 2011. Covering such losses for the same proportion of the market nationwide would cost about $11bn a year, The Economist estimates. Mr Ryan's plan offers $2.5bn a year in federal funds. Many states would be reluctant to make up the shortfall. 2/16/2017:The House Republicans just announced certain details on what is apparently Ryan's plan, with the state-run high risk pools with less than 1/4 of the needed funding. Here is their brochure. "Some may suggest State Innovation Grants would lead to enrollment caps or waiting lists like certain high risk pools functioned prior to Obamacare. This is false. These new and innovative State Innovation Grants are designed to help vulnerable patients. Why would anyone allow them to potentially harm the very patients they are intended to help?" Yupper, that's the economic reasoning about why the high-risk pools, supplied with less than 1/4 of the funding needed, will work. Clearly, House Republicans are in the same surreal world of alternative facts and magical thinking as the President, and that's bad. j)I do agree that ObamaCare has some real problems, and is financially stressing some with high premiums. (Note that the Republicans controlling Congress in the last few years have prevented any fixes after the law went into full effect in 2014 and some problems became clear.) Given our long-festering, inefficient health care system (18% of GDP vs 11% at the next worst country for similar and often lower life expectancies), any solution not killing and bankrupting a lot of people will require at least a little extra money for at least a little while, whether in health care premiums from those who can afford it, or taxes from those who can afford it. k)Single-payer, like Canada, of course would knock outs lots of waste. (When I called my GPs office a few weeks ago, the person I talked to me told me that the office has patients with hundreds of difference insurance plans to deal with.) But, I assume, it's not in the cards. (Political money, political alliances, class alliances. If somehow those all failed, the insurance industry I'm sure will whip out a new version of the 1993 insurance-industry-sponsored Harry and Louise ads. that emotionally moved people who didn't understand the economics of the matter to not have the 1993 Bill Clinton universal health plan enacted. 3)Another possibility for the new "repeal and place" coming, at some point assumed the likely proposal by the NY Times, is HHS secretary designate Tom Price's 2015 law proposal, 2015 Empowering Patients First Act (on the page, click on "text" for the full text rather than the excessively sketchy outline). In summary, (a) has been somewhat tried and seems to have failed. One might guess $600 a month policies for younger adults and $2000 a month policies for older adults (pre-Medicare 65). (This is just a guess.) Now, the Republicans do propose non-income dependent age-dependent subsidies, but I don' think they'e thinking of anything close to $24,000 a year for older people. b)drop the structure of the program that makes insurance very cheap for lower income people (Medicare extension and income-dependent subsidies) and replace it by an age-dependent, but not income-dependent, subsidy. c)The law has high risk pools. I suspect they try to help out people who didn't maintain continuous prior coverage, and those who exhausted the benefits of minimal-limits and coverage individual policies. d)Allow "insurance to be bought across state lines", meaning with only whatever coverage (maximum payment and treatments and diseases covered) is required is based on the laws of the state the insurance is bought from. (Implications under Ryan's version (2c). This really seems to get more people eventually winding up in the high risk pools, even those who started out with normal private policies and got those policies if they started with a pre-existing-condition but had the necessary continuous prior coverage. That is, the skimpy bought-across-state-lines private policy coverage winds up inadequate for people when they are very sick, with they have to go to the high risk pool (if it's open, etc.). a)Repeal subsidies effective immediately, replacement is delayed by however many years. (Many non-sick people immediately cancel insurance because they can't now afford the insurance. Bad for those people. And then, leaving sicker people in the pool, so that insurers can no longer afford the payouts they promised. Some smaller ones go bankrupt immediately, some find a legal way to cancel all policies sold under ObamaCare due to changes of contract conditions. Or the insurers keep the insurance going through 2017, but stop selling, or have to charge exorbitant rates, after 2017. Then, it takes several years for states and insurers to tool up to go back to the old system, or the new system. b)Under ObamaCare, as I understand it, certain lower-income people within the income limits for subsidized standard plans, got copayment and stop-loss reductions due to financing made available by Presidential administrative order rather than Congressional action. If Trump decides to stop these effective immediately, problems like in (a) may occur. c)If repeal and replace is done now, and both go into effect in several years, some insurers may drop out of the lame-duck system (i.e. losing money now, with no hope of making it profitable in the short time left), leaving people stranded until the new system. d)Repeal now, effective in a few years. But, no Republicans can't agree on a replacement, and we're back to the old system, except a gap of several years before the states and insurers realize there's not going to be a replacement so non non-employer-provided insurance for anyone for several years! "surgery rejected as pre-existing condition even though I've carried insurance all along" "is it possible to get health insurance with a preexisting condition" "anthem keeps denying claims as pre existing" "how long must i be in the ohio high risk pool before i can have surgery for a pre-existing condition"
"how to get around pre-existing health insurance" "pre-existing condtions emergency room" "attorneys representing lapse in health insurance and denied claims"
"ny attorney general health preexisting conditions" "i can't get insurance with my pre-existing condition" "insurance stopped my coverage due to a pre existing condition"
"I mean, people have access to health care in America. After all, you just go to an emergency room.". (Quote Source: Official Bush White House U.S. Government Archives, Paragraph 16, here). For those looking up the meaning of pre-existing-condition, I have put it on the separate page here. To: FULL SITE CONTENTS (click here). The main provisions of the Obamacare law for people reliant on their own non-employer (="individual") insurance are that health insurers may no longer deny coverage or charge more for people with pre-existing conditions, or exclude coverage of pre-existing conditions. Further, people with lower incomes get partial or complete subsidies (on a sliding scale according to income and family size) so they can afford to buy the health insurance (with major exception (1), as below). There are some real potential problems ahead, which are overwhelmingly, I am sorry to say, due to Republicans. (1)MAJOR EXCEPTION TO AFFORDABILITY: in 26 Republican states the state's Republican governor and/or legislatures have exercised their option, given in the (unexpected) June 2012 Supreme Court decision on ObamaCare, not to extend coverage to a large group of low-income people (the group being people not so extremely poor as to be covered under pre-Obamacare-extended Medicaid but still very low income: income to about 130% of the poverty line -- the extension of Medicaid is how those particular people were supposed to have gotten their full subsidies in the enacted ObamaCare law). (See the state-by-state Obamacare-Medicare-Extension status here.) The state Republicans are choosing to not extend Medicaid even though 90% of the cost of covering those people would be paid for by the Federal Government as a provision of ObamaCare. And even though most of those people don't now get Medicaid simply because they work and make a little too much to be dirt-poor to qualify under pre-extension rules for Medicaid. (These people who will be denied health insurance in those Red States are often called the "working poor", and may be about 10% of the population in those states. Thus, those folks can keep getting whatever care they can get at the emergency room, and accept not being able to save any money if the emergency-room and hospital sends them humongous bills.) Those Red States' health care coverage will not be 98% (as in MA where I live, now, with its own version of ObamaCare in effect for several years) but maybe only 88% without those working poor having coverage. (2)REPUBLICANS HAVE THE POWER TO, AND WILL, BLOCK ANY NEEDED ADJUSTMENTS TO THE LAW: Until at least 2016, and possibly for many years longer, the majority of members of the House of Representatives will be Republicans. They will undoubtedly block any changes to Obamacare, instead saying "tough luck, no changes, you must just repeal it". (3)REPUBLICANS CAN NOT NOW, BUT MAY, AT ANY TIME AFTER THE ELECTIONS OF 2016, HAVE THE POWER TO REPEAL OBAMACARE AND GO BACK TO THE PRE-EXISTING-CONDITION-SCREENED SYSTEM. They indeed might do it, particuraly if by not allowing changes they can force it to mess up. Thus, I plan to stay here in Massachusetts, the only state where we have already our own version of Obamacare, at least until the results of the November 2024 election. (a) when some people with the same policy get sick, the insurers sell new low-cost policies to only the healthy people, making the costs rise rapidly for the sick people, who can not get new policies and are stuck with their old policies which get very high premiums to cover the medical costs of just the expensive sick people who have to keep those old policies. This happened to me once when I lived in Connecticut -- costs rose to 5 times in only about 5 years. Also, with those old pre-existing-condition screened policies, the insurance could be cancelled, (b)this varies by state, but virtually always if the insurer decided to stop offering policies in the state. What also happened in the past in many cases is (c) that the insurer issued a policy, and if you got expensively sick, they reviewed all of your medical records and said something like "look--you had such and such a blood test result 6 years ago that makes you more likely to get cancer and that is a pre-existing condition. Sorry, you left a relevant pre-existing condition off your application, policy cancelled." I posted examples of this a while back here on this page . Now, even with those old pre-existing-condition-screened plans, it has fortunately become more difficult for the insurance company to cancel a policy this way, but that is only due to a provision of ObamaCare itself that went into effect soon after the law was passed a few years ago. It is the above-described case, people who passed prior pre-existing-condition-screens (which they call "medical underwriting") is the case where people are now facing higher prices. In some of those cases, the premium price, or premium price plus out-of-pocket, is up to a few thousand dollars more per year, and if the person is above the 400% of poverty income level (and therefore does not get the new Federal subsidy), that extra few thousand dollars can hurt. For people who the few thousand dollars does not particularly hurt, we would hope they would understand the system well enough to know that in the long term, if they got sick, their old policy premiums could rapidly escalate, and in most states, they could have even had their policy cancelled -- that is, the insurance they had was kind of crummy And we would also hope that they have some sense of solidarity with the umpteen million people who were uninsured under the old system, and would be running a high risk of medical bankruptcy and death all the time, so that they would happily pay the extra premium. I point out that any hope of helping out the people in tight squeezes with a tuning of the law is wrecked because Republicans will not go along (and just want ObamaCare to fail, no matter how many people die and go bankrupt), and at this point in time, their House of Representatives majority gives them the power to prevent any changes. (5)And, oh yes, the President spoke sloppily in an oversimplification when he said "you can keep your policy if you like it". He would have been precise if he said, "if you had an individual policy at the time the law passed several years ago and it didn't change substantially, then it would not have to be cancelled under ObamaCare". But we can't really blame him for this over-simplicification. The Republicans have been blatantly many times more deceptive than he has, frightening people with "Death Panels", "rationing", and numerous other things that quantitatively minded people like me can pick up on. Since the people are not well informed, innumerate, have a poor understanding of economic mechanisms, etc., and since the Republicans were taking advantage of this and being so horribly deceptive, I believe the President was justified. I would hope for straght-for-the-truth non-deceptiveness in American politics, but it seems pretty far off for the time being. The Site is About Managing Pre-Existing-Condition Health Insurance Issues Under the Current System, The Passed-in-2010 Effective-In-2014 Obama Health Insurance Reform, and the Republican (Including Mitt Romney--even after 6/28/12 Supreme Court Law-Is-Constitutional Decision) Efforts to Repeal the Reform. As somewhat referenced here, Romney, realizing that more middle class people than he would like are realizing that they're gonna get completely wiped out financially if they wind up with a pre-existing health condition at the wrong time (if they don't live is Massachusetts, which has RomneyCare), has just sprinkled in some new assertions in the debate about "his health plan", whatever that completely unspecified thing in his mind might be. In any case, he seems to be asserting that he would force insurance companies to give health insurance to people holding health insurance continuously, either with no new law (and thus in the limited case as provided by the 1996 Kennedy-Kassebaum law of people losing employer coverage), or possibly by some new extension to Kennedy-Kassebaum (imagining that somehow the radical antigovernment Republicans in Congress would allow him to get it passed), which would be a Federal law to force insurance companies to give coverage to people with pre-existing conditions even if the prior insurance was not from a job. As a quantitative person, a statistician, who has looked at the details of Kennedy-Kassebaum, let me point out that it involves a big trick. The big trick is that the insurance company (under Kennedy Kassebaum) has to offer you coverage if you have a pre-existing condition, but they can charge you whatever they want or need to to cover how expensive you are with that pre-existing condition. Thus, you might have had a pretty bad heart attack recently, so they can charge you $108,000 a year for your policy. There is, in Kennedy Kassebaum, a provision that, if the state you live in has chosen to set up a high risk pool to cover the people with pre-existing conditons losing job-based insurance, then, rather than the insurance company insurance with the unlimited rate, you get that state high risk pool insurance. But even in those states, the issue is how expensive it is -- that high risk pool insurance is much more expensive than insurance for people without pre-existing conditions, and may typically in the financial wipeout zone for older people, say in their 50s or 60s. I exhibit the case for the Insurance Capital of America State Of CT where the rates are here, as well as the brochure for the plan here, where we find out that you will likely have to toss in $7500 per person in addition to the high premium, which high premium itself is over $25,000 for a male in his early 60s. So this is one version of the no-details-available plan that Romney might have going on in his head. It is also just the status quo, with a small extension of Kennedy Kassebaum. There is another possibility that the plan that Romney has going on in his head and has not given details on is to force insurance companies, via a new Federal law, to give coverage to people who have maintained continuous health insurance prior which is actually at the same rate whether or not they have pre-existing conditions, but without a mandate on people to carry coverage. This is precisely to make national what New York State has already done. For New York State now, rates are here. If you click on, say, the non-wealthy St. Lawrence County, you see that you've got $1200. a month for any adult on the cheapest plan. This is better than the CT high-risk option (up to $2700/mo), but it's still unduly expensive. That's because there is no mandate to carry coverage in New York State. People tend to not pick up insurance until they get sick. And there's also a constant possibility of a "death spiral", which is, as the problem of only the more expensive, sicker people buying insurance worsens, the rates go up and up rapidly, and soon maybe rates hit $60,000 a year. (This had started to happen in New York State when I lived there several years ago. Monthly rates on the cheapest available policy went from about $650. a month per adult to about $1150. a month per adult over the three years I lived there. This was around the time of the financial meltdown, when all of a sudden many people who weren't really, really sick decided they just couldn't afford insurance. So, at that time, anticipating the start of a death spiral where rates might hit $2000 or $3000 or $5000 a month, I rapidly left the state, and moved to Massachusetts, which had just enacted Romneycare. That insurance has served me well -- rates are much lower, the insurance company can't charge more if you have a pre-existing condition, and it's all made possible by penalizing people who don't carry insurance, that is, by keeping them from freeloading on the nonfreeloaders. And, it is well recognized by experts that the mandate is the only way to get reasonable rates without tossing people under bus once they get a pre-existing condition, without also having much more government involvement (like the government-only-insurance of Canada, or the fully run-by-government health care delivery of Great Britain). Thus, the chameleon Romney, having said he'll repeal National RomneyCare = ObamaCare on day one of his taking office, can only have something in his mind like the current Kennedy Kassebaum / high risk pool system (very expensive if you get a pre-existing condition and you don't have humongo savings, and will throw you under the bus completely if the state you live hasn't chosen to set up a high risk pool to implement Kennedy Kassebaum), or the New York State Community-Rated but No Mandate system, where the insurance costs maybe double what it costs in MA, and further, where you can get a death spiral at any moment, and the insurance might start costing $10,000 a month or so for everyone. P.P.S. Yet another issue I can foresee with "leave it to each state" is that people can easily move between states. For Massachusetts itself, the Presidential campaign coverage has let the cat out of the bag that a person with no insurance living in State A which is not Massachusetts, where he or she may be accumulating say $200,000 a year in uncovered medical bills, or otherwise perhaps may have a serious pre-existing condition and be paying $50,000 a year for health insurance, can move to Massachusetts and immediately or almost immediately get complete health insurance for between $0. a year and $5,000 a year (depending on his/her income) under our MA RomneyCare. Well, then, we have a problem here in Massachusetts, with a big load of sick and poor and sick but not poor people from the other states flocking to Massachusetts. Then the people of Massachusetts have to pay humongous state taxes to support the subsidies needed for the new poor-sick, and rates skyrocket in non-subsidized policies with all the high proportion of non-poor sick now in the state. Thus we have a new kind of health insurance "death spiral" for Massachusetts with "leave it to each state". Massachusetts might be able to break this death spiral by rapidly enacting a law requiring say 5 years prior Massachusetts residency in order to get health insurance, but we can foresee that this might violate the U.S. Constitution for some reason, and even if it doesn't, we have to wait maybe 4 years for that to get decided by the U.S. Supreme Court. I expect some residents with foresight hear in MA are anticipating that possibility, and have an eye on an eventual relocation to some place where you don't need health insurance at all, but rather costs are low enough so you can just pay cash for care. Perhaps Panama, Costa Rica, Argentina, or Chile. P.P.P.S. Not to mention in all of this what happens if Romney dies in office, and radical antigovernment Vice-President Paul Ryan becomes president. Further, Republican Vice Presidential Candidate Paul Ryan's "Ryan Plan", announced in 2010, (see here), would, take Medicare, now covering people 65 and over with a premium not dependent on pre-existing conditions, and, starting in 2022, convert it to mainly private plans which are under the bill allowed to charge much more or deny coverage for seniors with pre-existing conditions. Though subsequent documents on Ryan Budget Plans become ambiguous with tricky wording on whether seniors with pre-existing-conditions will wind up paying more, since Ryan, Romney, and the Republicans have all made clear that they are determined to repeal Obamacare and keep the current premium-may-be-much-much-higher with pre-existing conditions for people under 65 rules, we should assume that there is a good possibility that they will switch Medicare to the same higher-premiums-for-pre-existing-conditions systems that they have already at times indicated. Even if Paul Ryan doesn't lead the Republicans into extending pre-existing-conditions problems to seniors on Medicare, he, as well as all the other Republicans, are intent on repealing ObamaCare and keeping people below Medicare age on a pre-existing-conditions-nightmare set of laws, and also raising Medicare age to 67. Thus at a minimum from Ryan, we get a pre-existing-conditions nightmare for people until they are 67, including two new, very expensive-with-pre-existing-conditions years 65 and 66. See Mitt Romney Championing the Massachusetts Mandate to Carry Health Insurance here and here. Note that the "ObamaCare" that Romney has promised to repeal is pretty exactly a National version of Romney's Massachussets "RomneyCare". Strange in-state Republican governor's platforms in many Republican States: "If Republicans in Federal Government do not succeed in repealing ObamaCare = National RomneyCare we will exercise the option the Supreme Court gave us of not extending Medicaid insurance to the working poor in our state and leave them uninsured -- despite that 90% of medical costs will be paid for by the Federal Government. We aren't generous enough in our state to raise state taxes just a smidgen to cover the remaining 10% of the doctors' and hospitals' costs, and in any case the state government I run is so inefficient that the administrative costs that we will have to pay are not say a tiny 2% like Federal Medicare, but really, really high so we just can't help those annoying working poor who make a little too much to qualify for current non-extended Medicaid! If they want insurance, let them just not bother working so their income is low enough for non-extended Medicaid." (This is the platform of the Republican governor of Texas (check here,) Florida (check here), and possilby also Colorado, Indiana, Iowa, Louisiana, Maine, Mississippi, Mosssouri, Nebraska, New Hampshire, New Jersey, Ohio, Pennsylvania, South Carolina, Virginia, and Wisconsin (check here). Yet more embarassing, because in my state, Massachusetts under RomneyCare, we cover the working class / working poor by paying the full cost, not just the 10% you won't even pay. That's how we get only 1.9% of legal residents non-covered, (as here). What these Republican governors are promising to do will keep maybe 12% of legal residents non-covered, and these will be the low-wage workers in your state. Shame on you! Amazing Success of Republican Deceptions--how do they manage to keep it up? : Since 1994, all industrial countries except the U.S. have had universal healthcare and without non-coverage or additional charges for people with pre-existing conditions. Switzerland was the last country, which switched in 1994 (check here). Still, the Republicans manage to pull one over on enough of the people to keep this health and financial security away from us. Republicans scream "socialism" about ObamaCare = National RomneyCare. I point out that Switzerland, the last hold-out country in the industrialized world, is non-socialist enough for Mitt Romney to feel it is safe to keep some of his money there (check on Swiss bank account here). By the way, I also checked (here near the end of the page), and the Cayman Islands also has Universal Health Insurance Coverage with a mandate to carry coverage. (Romney has some money there, too -- check here.) I'm really not trying to be money- or business- bashing by pointing this out. Business is indeed the engine of making us wealthy, and having a good lifestyle. I'm no economically-soft-headed bleeding-heart liberal. But, the Republicans assert that ObamaCare = National RomneyCare = (near) Universal Health Care is socialism that will destroy our country and our wealth and the wealth of business people, and yet the business people send their wealth to two places with Universal health care. The Republicans are deceiving us, don't you see! (Incidentally, I live in MA, and love my RomneyCare. It makes my health and savings so much more secure, particularly between and moving to different jobs. Health insurance premiums here are the same whether or not you have pre-existing medical conditions, and coverage is always complete, without any exclusion of coverage of pre-existing conditions, or any waiting period for coverage of pre-existing conditions. People who make too little money to pay the premium get the premium partly or fully paid for, depending on income. The insurance companies and hospitals are all private. All of this just like in ObamaCare. --(THE BY-STATE TABLE BELOW WAS COMPILED BEFORE THE OBAMA REFORM PASSED MARCH 2010. THE INFORMATION AND DANGERS PRESENTED WILL BECOME IRRELEVANT BY THE END OF 2014 ONLY IF THE REPUBLICANS AND MITT ROMNEY FAIL TO REPEAL THE OBAMA REFORM.. Important Legal Disclaimer: I am trying to put useful, helpful information on this page. However, I can not be responsible for any errors above. Therefore, please check with the appropriate state insurance departments, and/or seek legal advice, as appropriate, before relying on the information above. Do also note that there are certain financial dangers that seem to exist in each and every state that I have not specifically placed in that last column. They concern what happens to you if you are in the hospital, so sick (for a time interval) that you can not think through the general necessities of running your life, or in a coma. There are 2 issues: that you lapse on payment of your individual health insurance premium while in such state, or that you don't get any needed pre-approval on managed care. To the best of my knowledge, the law is not on your side in such situations in any state. However, you may be able to mitigate or eliminate these risks by substantially pre-paying your insurance premiums, and by appointing reliable family members, friends, or lawyers as your power of attorney, at least at the point that you see a sickness coming. Date: The table below was filled in in early 2008, using direct state sources when available, which presumably were current, but using occasional backup information from the Georgetown and Kaiser sites, which is certain cases may have been 1 to 3 years old. For the most part, with the exception of the possible new high-risk-OK insurance, little has changed since then, but you should check with your state carefully (their website and phone the State Insurance Department) to be sure you know about all current options. My "DANGER--ALL: " symbol is for when it looks like people who've always lived in state have a serious potential problem (23 states have this symbol without question marks). Also, I do not see a stop-loss at all on the high-risk pool policies, at least from the brochure. You should check this. In-state only I see some problems unless you are already in the high risk pool. That is, if you have individual coverage, and it is terminated on you involuntarily, or costs you at least 50% more than the high-risk pool, you can get the high risk pool (with a 10% additional surcharge to have pre-existing conditions waived). However, notice that if cherry-picking forces your individual policy to be say 48% more than the high risk pool, you have to keep the individual policy! Thus, in the state, you have to plan your rates to be 148% of the high high-risk-pool rates. The high-risk pool rates are about $10,000 a year for an older non-smoking male, with a $2,000 stop loss, so you have to plan on $17,000 a year with stop-loss (in case you are stuck in that individual policy and can't switch to the high risk pool). There is a logically subtle issue that if you join the high-risk-pool, then get completely well enough and clear of the pre-existing condition so that you can get individual insurance, and do so, within a few months you relapse the the individual insurer pulls out of the state, you are going to get stuck without any insurance, as you can't rejoin the high-risk-pool within 12 months of leaving it. To avoid this risk, you can never leave the high risk pool for individual insurance once you join. The high-risk-pool requires 12 month prior residency, for people coming off of an individual policy. This is a problem if you move into the state with a substantial pre-existing condition. DANGER--ALL:Continuous prior coverage is credited only for prior group coverage under HIPAA rules. This is a problem if you come off of an individual plan, which pulled out of the state. (You will be stranded.) It is also a problem if your current individual policy became very expensive (due to the cherry-picking dynamic). In this case, you will be able to get onto the high-risk pool, but you will need double coverage (your individual plus high-risk pool) until the high-risk pool pre-existing condition exclusion period ends. I can't find any Arizona Medicaid site on the internet. DANGER--ALL: If the Georgetown booklet I checked (latest on site; dated 2004) is correct, there is no high risk pool, and nothing like an alternative community rating or modified community rating or an insurer of last resort. DANGER--ALL:As I read it, all high risk policies have a $75,000 per year benefit maximum. This puts you in grave danger in the state, if you have money or assets to lose! Watch out that high-risk pool is sometimes closed (when it runs out of state money). This also puts middle class people in grave financial danger. Continuity-wise, there may be some trouble for people moving into the state, in that there has to be a rejection before applying. I can't believe middle class people in such a big state are so ill-protected. In terms of having a problem with a gap of time with no coverage, it looks to me like permanently in-state people who maintain continuous coverage don't have a problem if they need the high risk pool -- it looks well engineered with respect to that. Danger--Moving In: Coming in with individual insurance from out of state is a different matter. If you move in with individual insurance, the 6 month residency requirement for the Cover Colorado high risk pool may leave you stuck. (You might be OK if you are coming from another state's high risk pool and that prior state's will keep covering you for 6 months.) At any rate, if you are stuck moving into the state with a serious pre-existing condition, you can't get the high risk pool for 6 months, and then, at that time, since you won't have had continuous prior coverage, the high risk pool will accept you but not cover pre-existing conditions for another 6 months. Total 12 months of no coverage possible if out of state coverage was individual. Watch out for very high stop-losses on high-risk pool ($5000 per person on the HMO, $7500 per person on the PPO). High-risk-pool rates can be steep, where I calculate up to about $23,500 a year per person when you add the stop-loss to the premium, whether you go HMO or PPO. Delaware Insurance Department--Health No High Risk Pool? DANGER--ALL:If I understand the information on the Georgetown and Kaiser sites, you can be in real trouble if you have either prior employer-based or prior individual insurance and you have a serious pre-existing condition, even if you have responsibly maintained it continuously prior. If your prior insurance was group, you will be offered and individual policy by federal HIPAA law, but the rate is unbounded. With prior individual insurance, they don't even have to offer you a policy. Therefore, responsible people who save in this state seem to be at a risk of sudden bankruptcy. DANGER--ALL:If the Georgetown booklet is correct, and the Guaranteed Issue policy from CareFirst Blue Cross has been phased out and not replaced with anything, then people with serious pre-existing conditions and prior employer or individual coverage can be in a pretty good pickle. If your prior coverage was employer, Kennedy-Kassebaum will let you get individual coverage, but your rate is unbounded. With prior individual coverage, you may not get any coverage. Should you find out that there is some replacement insurer of last resort, then a high level of danger may or may not exist. The danger may be high if there are pre-existing condition exclusions even if you have continuous prior coverage, or if there are maximum annual medical bill payment caps (like the $35,000. a year in PA under certain conditions), or humongous rates or deductibles or stop-losses. NOTE: If you lose your group insurance from a non-self-insured small employer, it looks like they have to give you some coverage, with some state limitation on the rate they can charge you. This alone does not change the state from being financially dangerous to savers, in my view, but is something you should look in if the particular situation affects you. DANGER--ALL: There is definite trouble if your prior insurance is individual in continuity of reasonably priced coverage for people with serious and expensive medical conditions. And there is no high risk pool or insurer of last resort to insure you when individual insurance is unavailable or unboundedly expensive. This is enough for me, personally, to avoid ever moving to this state. If you start with an in-state group policy and then lose your job at a time you have a serious pre-existing condition, it looks like in many cases (not all cases) you will get (either direct from the old group insurer, or through the state) a comparable "conversion" policy, which can be expensive, but it seems to be still controlled at about 150% of a group rate -- sort of like a high risk pool rate. However, I am still worried about the permanent controlled cost and availability of this. The Georgetown booklet says, at the bottom of p. 19, that rates may go up as you age goes up or health worsens on the conversion policy. The "health worsens" bit has me worried that the rate stops being controlled after it is initially issued. Or, Georgetown may have an oversight. You should call the Georgia Insurance Office to verify details if you are, or may be in the future, in this boat. By the way, on the conversion policies, what if the company offering the conversion policy eventually pulls out of the state? Would you be stuck without coverage if you had a serious pre-existing condition at the time? Check with the Georgia Insurance Office. DANGER--ALL: There are no regulations with individual insurance on what you may be charged with a pre-existing condition, and there is no high-risk-pool or insurer-of-last-resort to mitigate your financial peril if you lose your employer health insurance (and after the COBRA expires), or to keep you from getting cherry-picked to exorbitant rates in the individual insurance system. Thus, me never aloha Hawaii, never even consider aloha Hawaii. The best high-risk-pool plans have a high $10,000 stop-loss, which brings the total that you may have to pay out to about $20,000 a year per person if you are in certain age groups. Watch out that last I checked, I believe the Kaiser site indicated Idaho had no high risk pool, which is incorrect. Incidentally, if you lose employer coverage in this state, the state seems to mandate they give you a conversion policy with limits on how much you can be charged. This may be an option to look into if you are in that situation. Coming from an individual policy, there is a 6 month residency requirement. Thus, you can not safely move into the state with a substantial pre-existing condition. If your individual insurance becomes more expensive than the high risk pool plan, you can get the high risk pool plan. But it will exclude pre-existing conditions for 6 months. So for that time period, you need to maintain both plans. High-risk pool is up to about $10K-$15K a year, with $5K stop-loss to be added in. The rates in this state for the high risk pool are not too bad, hitting up to about $13,000 a year with a small stop-loss of under $2,000. There was an issue with if you quickly lose your current coverage, i.e. your current individual insurer pulls out of the state. If they do this quickly, since you have to have been rejected by an individual insurer, or charged more than the high-risk-pool rate by them, the process of applying and getting rejected might cause you to be uninsured for, say, a month. However, I am not sure this is really possible, as the insurer leaving the state may be required to give a few months of notice. You should check with the insurance department. Also, residents of the states should be warned that the high risk pool requires a recent prior Medicaid application (even if you have way to much in assets), so they shouldn't miss this piece of paperwork. Danger--Moving In: Moving into Indiana with a serious pre-existing condition is entirely another matter. There is a 12-month residency requirement on the high-risk-pool if your prior insurance is not group. Further, once you move in and have been there 12 months without health insurance, since you have had no insurance for a year, the high-risk-pool will exclude pre-existing conditions for 3 months. So you've got 15 months without coverage on that pre-existing condition. Danger--Moving In:Moving in is different. There is a 2 month residency requirement if your prior plan is not group. However, I think it's actually worse -- there will also be a 6 month exclusion on pre-existing conditions if your prior individual policy was not cancelled involuntarily. So it actually is 8 months without coverage or without coverage on the pre-existing condition (if you have a serious pre-existing condition and your other-state coverage is individual). DANGER--ALL:$100,000 high-risk pool annual maximum payout -- you pay the rest of your medical bills. However, if you move into the state with a serious pre-existing condition, and your prior coverage was individual, the 6 month residency requirement for the high risk pool can expose you to 6 month without coverage. And then, since when you finally can apply for the high-risk pool, you may not have had individual coverage (since you couldn't get it), you have a additional several months of pre-existing condition exclusion on the high-risk pool. High-risk-pool rates are not that bad, hitting $10,000 a year, plus $5000. a year out-of-pocket maximum for older people (for the Preferred-Provider plan). Watch out that without the pharmacy rider, 20% pharmacy copays could be very high in certain cases -- you probably want the rider. Avoidance of coverage gaps for in-state people maintaining continuous prior coverage looks pretty sound, in that the high-risk-pool credits prior coverage even if it is individual, and allows access if an individual insurer denies coverage, or charges more than the high risk pool. As in all states where application processing by an individual insurer is required for the high-risk-pool (unless prior coverage is group), you have to hope the insurer's processing time doesn't mess you up -- for example, if your current individual insurer goes bankrupt or pulls out of the state, and you suddenly lose coverage. If you are worried about this issue, check with the Insurance Department. Danger--Moving In:Moving in is different. There is a 12 month residency requirement if your prior plan is not group. So if you move into the state with prior individual coverage and a serious pre-existing condition, you can have 12 months of no coverage at all. Then, you can get the high risk pool, but then your pre-existing condition will not be covered for another 12 months. So thats 24 months without coverage for the pre-existing condition. High risk pool rates are kind of high, hitting about $16,000 a year for non-smokers, plus a $4,500 out of pocket maximum. Note that there are two versions of the plan -- one for people with prior group coverage that does not exclude pre-existing conditions, and one for people with prior individual coverage that does exclude pre-existing conditions for 6 months. Besides the potential enrollment cap on the individual insurance high risk pool, which in my opinion, makes the state unsafe for people with assets to lose, the other serious problem is that the high risk pool coverage is simply too weak -- whether the prior insurance is individual or group. There is a $100,000 annual cap on what they pay out for your medical bills, and a $500,000 lifetime cap. There is also a $15,000 a year maximum on prescription drugs. I am not enough of an expert to know if the $100,000 per lifetime cap on transplants is a worry, too. MASSACHUSETTS HAS HEALTH REFORM ALREADY (97.4% Insured Rate). Now that national health reform is apparently killed (ironically, by a senator from MA), if you are from out of state and have, or are worried about getting expensive pre-existing conditions, in many situations, it is your best bet to move here. People from outside MA should consider moving QUICKLY into MASS before the legislature adds requirements that would impede people with pre-existing conditions moving from out of state from getting insurance immediately upon moving in. People interested in pursuing this strategy can use this link to the Massachusetts Insurance Exchange or search for "Mass Connector" on Google, for rate quotes, and any requirements details. (Rates do not depend on pre-existing conditions, and further, Massachusetts taxpayers will provide you with a decent subsidy on your premium to make it affordable if your income is up to some fairly high amount as here, provided you don't currently have insurance.) From a call I made to the Connector (1/26/10), at this time you don't even need prior coverage, and pre-existing conditions don't matter (of course, double and triple check yourself before moving to MA). My understanding is that the new system is working adequately for people with relatively higher incomes and/or assets to lose, in that they can basically afford the modified community rated insurance in the first place, and the Connector does a little to reduce their costs by making insurance a little more efficient. (There is criticism that costs, due to 10%-15% a year medical cost increases, are still not controlled because restructuring of the Medical system is not adequate. There is also a problem with many of the lower income, but above-Medicaid-plus-some 300% of poverty being unable to afford their unsubsidized insurance--and thus being worse off than if they didn't work at all. This is analogous to, before the reform, many of these same people being penalized for working by not being eligible for Medicaid, and thus being part of the uninsured working poor. The only solution for this is for the country to actually fix the problem of this poverty trap, by paying more to cover the actual costs to give working poor uninsured coverage and/or to provide that additional coverage with the resource provided by the abundant opportunities for streamlining in our health care delivery system. See this American Prospect article by the former editor-in-chief of the New England Journal of Medicine. Modified Community-Rated which assures pre-existing conditions don't affect your rates, or get you denied coverage, if you get a pre-existing condition (as long as you have previously maintained continuous coverage). DANGER--MOVING IN:Despite the Modified Community Rating, there is still a danger issue when one moves in regarding a coverage gap. (On a 2/1/10 call to the Insurance Department, you need "Residency", which is legally defined in a way that you actually have to have been living in the state for at least 2 months, and there may be additional criteria. The relevant law is sections C-C1-C2 on this page. Thus, even if you have continuous prior coverage in your current state, you would seem to have a gap in coverage coming if you can't get your current plan to cover you for your first few months of residence in ME. Further, if this makes you wind up with a gap of over 3 months, then your ME plan has a gap of 1 year on pre-existing conditions. The high risk pool rates are impressively low, at $5,0000 to 6,000 a year for the 60-64 age group. (Lower for younger people.) The stop-loss is $3,500-4,000 a year, so that total costs for a 60-64 year old individual are about $10,000. a year -- much lower than, say, CT, where that group pays $23,000 a year. Many other states have similar rates to CT. Danger--Moving In?? :I can conceive of a problem moving in with a pre-existing condition. If you were in another state's high risk pool, then they take you immediately in the high risk pool. Otherwise, there is a requirement that you be rejected by a health plan in the last 6 months. (It may be impossible to have been rejected coming from certain other states.) You may be able to get around this by renting an apartment in Maryland and getting yourself rejected before you move to Maryland (if your future potential insurer cooperates). Otherwise, Maryland is still pretty generous in only having a 2 month pre-existing condition exclusion on the high risk pool, which I think you may be able to buy your way out of by paying extra for 6 months. In that case, the real issue would be whatever short time without any coverage at all when you first move in. Despite some continuity issues for people moving in, the state should be commended for doing well by its citizens. DANGER--ALL: Transportability issues with insurer of last resort coming from an individual policy. I believe individuals in-state are safe from unbounded rates. Though you aren't eligible for the high-risk pool if your individual insurance rates go above the high risk pool rates, the Kaiser site indicates individual insurance rates have a state-regulated maximum, which I assume is around the high-risk-pool rates. You should double check with the Insurance Department, however, just in case the Kaiser site is wrong or outdated. (Note: if the rates on individual policies are not bounded not much more than the high risk pool rates, than "DANGER--ALL" would go here, based on everything else I know. Danger--Moving In: Watch out for 6 month residency requirement for high risk pool. Rates for the high-risk-pool hit $12,000 a year, with no out of pocket limit on 20% copay. There is a $500,000 lifetime maximum. DANGER--ALL: The copay would be $40,000 in a year in which you had $200,000 in medical expenses. The $500,000 lifetime maximum would seem inadequate. For in-state residents, it looks to me like continuity of access if your prior plan is individual is O.K. up to care needed in 1 case. If your current insurance company leaves the state or cancels your policy class or goes bankrupt, you can enroll in the high risk pool and not worry about pre-existing conditions. However, if your current individual rates go to beyond those of the high risk pool, you can enroll in the high risk pool, but have a 1 year exclusion on pre-existing conditions. So you have to maintain double coverage for a year to avoid this trap and successfully transfer to the high risk pool. Moving in from out of state looks problematic. You are eligible for the high risk pool if you were in a prior state's high risk pool. But in many cases, people maintaining continuous prior coverage who now have a pre-existing condition will not be in the other state's high risk pool. Further, it looks to me like the high-risk-pool will exclude pre-existing conditions for a year in all cases where you move in from out of state where prior coverage is anything other than group. For in-state people, continuity of coverage seems sound. DANGER--ALL:Only 50% of out of state emergency care covered. If you are moving into the state with a pre-existing condition, there is a problem. If you prior out-of-state policy is individual, the high risk pool requires either involuntary termination of a prior policy, or a rate higher than the high-risk-pool, in order to not exclude pre-existing conditions for a year. There are many ways you could have continuous prior coverage in another state, with this not being satisfied. Rates appear to run up to about $13,000 a year plus allow another $5,000 a year for the out-of-pocket limit, plus allow $5,000?? or more for prescription drugs, which are not covered by the out-of-pocket limit. DANGER? ?--ALL The problems I am seeing are only involving the "may" language, rather than definite language, regarding waiver of the 12 month pre-existing-condition exclusion. If your prior coverage is individual, and your rates rise to beyond roughly the high risk pool rate, the high risk pool will take you, but you have a 12 month exclusion on pre-existing conditions. So you need to maintain double coverage for a year. (That seem's definite -- that's not the problem.) What is the problem is that if your individual insurer pulls out of the state or goes bankrupt, there is language that the high-risk-pool "may" credit your prior coverage and not exclude pre-existing conditions for a year. The "may" worries me -- without a definite "will" on crediting your prior coverage, you could be stuck without coverage for a pre-existing conditon for a year, even if you responsibly have maintained health insurance continuously prior. You should call the high risk pool, or perhaps have them send you something in writing, if this issue makes you want to leave or not settle in Montana. Danger--Moving In:The high-risk pool has a 1 month residency requirement if your prior insurance is individual, and further, will only credit prior coverage (at best) if it was involuntarily cancelled and has a gap of less than 30 days. As I calculate it, moving into Montana with a pre-existing condition and prior individual insurance would leave you for a full year without coverage of your pre-existing condition. Beware for in-state residents that if your individual insurance rates climb to beyond that of the high risk pool (i.e. voluntary termination), you can get the high risk pool, but pre-existing conditions are not covered for 6 months. Thus, you need to maintain double coverage for 6 months. Otherwise, availability of coverage seems sound to me for in-state residents. Rates not cheap for older people (up to about $20K/yr), but at least stop-loss is not that high. State Insurance Department site defers to the Georgetown site, which booklet leaves things unclear to me. Rates for individual policies may be higher based on health condition and age, but there is some state regulatory control over how much higher a sick or old person would have to pay. I can not find any information on just how high the rates could be. Danger--Moving In: There is clearly a problem getting coverage moving into this state from a prior individual policy with a serious pre-existing condition, as there is no guaranteed way to get coverage in that case. Rates go to $10,000 a year per person plus $7000. out of pocket maximum (HMO plan A). DANGER--ALL:The plans pays at most $10,000 for pharmaceutical per year. Danger--Moving In? : I do see that there may be trouble for people moving into the state from an individual policy, because they have to be essentially rejected by an individual insurer. You may have to have bought a house in NH before beginning this application process. Rates seem basically reasonable for non-smokers. On plan-A of the managed care, I calculate stop-loss plus premiums around $15,000 a year per person. Much worse for smokers--don't smoke! However, I see a $10,000 per year pharmaceutical cap on the high-risk pool plans. This might conceivably wipe you out if you have the wrong disease. Community-Rated, which assures pre-existing conditions don't affect your rates, or get you denied coverage, if you get a pre-existing condition (as long as you have previously maintained continuous coverage). Some, especially young people, may find rates high, due to inefficiencies in the health delivery system and freeloading. This is impossible to fix without national government intervention mandating coverage, and creating efficiencies. NOTE: HMO stop-loss is generally $1500. Community-Rated, which assures pre-existing conditions don't affect your rates, or get you denied coverage, if you get a pre-existing condition (as long as you have previously maintained continuous coverage). Some, especially young people, may find rates high, due to inefficiencies in the health delivery system, freeloading (=people picking up insurance only after they get sick), and possibly even a "death spiral" (which is where both there is some freeloading, medical costs rise, and soon more freeloading, and eventually the process continues to where even people trying not to freeload freeload have to freeload, or just go without insurance all together). This may have started already in my own area in NY. This is impossible to fix reasonably without national government intervention mandating coverage, and creating efficiencies. in an area upstate which is actually quite poor. Some other parts of the state (I am in Broome upstate) have companies with lower rates (down to about $750/month per person in many areas, particularly in areas with a non-profit.) There rates have also been rising pretty rapidly. As I have indicated, a "death spiral" may have started on individual policies in New York. Since the NY State government finances are collapsing, the legislature is know to be malfuctional at the moment, and we have a legally blind governor, I don't expect any remedy in the state. It looks like, for people with continuous prior coverage, the insurer of last resort, Blue Cross, has to take you and not exclude pre-existing conditions. However, I am not sure if there is any limit to what they can charge you. I am not able to find any limit on the Georgetown site, or the BCBS site, or the state insurance department site. DANGER--ALL? :It would seem as though you have a problem with unbounded rates both if your prior coverage was group or individual. Rates are not too bad for the high-risk pool (hitting about $9000 a year for older people), plus stop-loss is $3000 per year. For in-state residents, getting stuck without coverage for people maintaining continuous prior coverage seems O.K., except that if your individual insurer pulls out of the state or goes bankrupt, the requirement of rejection by a new insurer may give you a little time without coverage. P.S. At the same time as the notoriously conservative country of Switzerland was changing from our system to something reasonable, U.S. health insurance companies were spending our premium dollars to run ads like this, to scare the people and successfully block the Bill Clinton Universal Coverage plan, and make us keep the system that we now still have. Sorry, pretty much they won't let just you move to these other countries without a cumbersome application process (and a good possibility of rejection), because everyone sick who is going broke in the U.S. might just move there and bankrupt their country! Comparative performance. Pretty much everywhere, it costs the countries' economies less, and life expectancy is as good or better. (In some cases, low-bang-for-buck highly-intensive/late-end-of-life care is less, while preventive care is higher.) See these graphs. Also see the table at bottom here, and the table with dates enacted here, to verify the universal coverage in every other developed country but ours. Why are, the U.S., so damned bad at this? We have a very divided country due to lots of different groups, and with a lot of people comitted to a low-end approach to things. I have to say, observing the health care mess only, I fault the current batch of Republicans much more than the current batch of Democrats. The older batch of Republicans (20 and more years ago) was a much better lot, and actually proposed many of the types of things on Health Insurance that the current batch of Republicans is aggressively trying to repeal. At the time I examined the state insurance department site, the state consumer guide to health insurance was being revised. Since the Georgetown booklet is leaving gaps, I can not give a complete report. DANGER--ALL?? :I also see a problem even for people with a current individual policy in the state in that if your current individual insurance company pulled out of the state outside of an open enrollment period, you might be stranded without insurance until the next open enrollment period, if you could count on that. Further, your continuous coverage requirement might have lapsed by open-enrollment time, leaving you stuck for longer. Only "basic" and "standard" plans are required to have "open enrollment". Since "open enrollment" is what you need if you have a pre-existing condition, the question arises as to how good the coverage is on the "basic" and "standard" plans. I am unable to determine this, so you should find this out. Continuity for continuous in-state residents looks OK, in that even from individual coverage, you are eligible, and your pre-existing conditions are not excluded. Continuity if you move in from out of state is another matter. If your prior coverage is individual, the 12 month state residency requirement will get you. And, in fact, if you move in, can't get insurance, and then pick up the high risk pool, you will not have continuous prior coverage when you apply for the high risk pool. So you basically will be uncovered for the pre-existing condition for 24 months total. Yikes! Basically, this state has a pretty good high-risk pool in that the rates are low (hitting only about $10,000. a year per-person with an additional cost of $1500. stop loss). Further, if you come to the pool from either prior individual or group coverage, according to the person I spoke to at the pool (information not on the web-site--you should double check the information I got yourself), the coverage will keep you from having your pre-existing condition(s) excluded. That's good, and is not the case in some states. Danger--Moving In? : The other hole (b) is if you move into the state. Since you need to be essentially turned down (unless certain other things apply, such as prior high-risk pool membership in your state, or presumptive condition, or prior coverage is group), you have to make sure you can arrange to be turned down somehow before you are in the state and need immediate coverage. This might actually be impossible if you currently live in a community-rated state. You might try and rent an apartment in Oregon, and apply for individual insurance from that address -- but the insurance company might not accept it. This state seems very dangerous if you have any amount of assets to lose. DANGER--ALL:Most stunning is the weakness of the coverage of this guaranteed issue plan. The first year, it will pay no more than $35,000. in payments, the second year $40,000., $rising by 5,000 every year until they'll pay $60,000. This is so financially dangerous, that it is barely worth adding that the copays have no stop-loss. (Note these details are all for the Philadelphia area--a correspondent has indicated to me that you may do much better if you live in other parts of PA.) Though the plan is not that expensive (I got a test quote of around $10K a year for a person 62 years old), the possibility of going bankrupt from medical costs outweighs the relatively low cost. A little while back, I personally made the decision to avoid settling in Pennsylvania precisely because the health insurance situation was so risky. The state has an insurer of last resort, Blue Cross Blue Shield of Rhode Island, rather than a high risk pool. I was unable to get rate information from the web for these policies. You should call them, and make sure you check the rate for say a 63 year old male with lots of pre-existing conditions. The policy did generally seem open to people with prior individual insurance, which is a major problem in many states. I also did not see low annual maximum payments of medical bills (like $35,000-$75,000, as in CA and PA), which is good. There may be some problem with no coverage for a short while if you leave one insurance policy while you wait to get the BCBS plan. I believe I read something somewhere about your initial coverage actually having to be gone before you apply for the BCBS plan in certain cases. Danger--Moving In? : Transportability into the state from out of state may be a problem in certain cases, especially if your move does not coincide with open enrollment. You might have to have no health insurance until open enrollment starts. You should double check with BCBS. High-risk pool rates can be steep, to $25,000 a year for an older pre-Medicare male, with a small stop-loss. You may be able to have a bit smaller premium plus stop-loss with a high-deductible/stop-loss option. If you enter the pool because your individual health insurance rate rose to beyond the pool's rate, there is an additional charge for 6 months, with rate going to $30,000 a year for those 6 months. In terms of continuity-of-coverage problems, these seem relatively small. You are O.K. if your prior coverage is individual, though you need to be declined insurance or charged more than the high-risk-pool rate by some insurer (if your prior coverage is individual). This may conceivably cause a gap in coverage while the application is being processed. Danger--Moving In: Since 30-day state residency is required (for people with prior individual coverage), there is an issue of no coverage for at least 30 days when you move into the state. Though 30 days is small, this could certainly wipe one out financially if that persons gets hospitalized at the wrong time. The lower-deductible risk pool has rates up to about $11,000 a year for a non-smoker. However, this plan also has a stop-loss for hospital and pharmacy separately, totalling about $7000, so you have to count $18,000 a year in the high age bracket (non-smoker). Apparently, reimbursement amounts to providers are kind of low, but will usually be taken by medical providers in-state. DANGER--ALL:When you are out of state in an emergency, you have to try to negotiate with the provider and see if they will agree to take the South Dakota reimbursement, or else you may have to pay the difference yourself. There may be a maximum-insurance-cost issue in state -I can not tell whether it is an issue or its magnitude based on the information I can find. This is the issue: If you have prior individual coverage, it has to have been terminated involuntarily on you. This leaves you stuck with potential extraordinary high rates of the high risk pool in the case when cherry-picking has raised your individual rates to higher than the high-risk pool. However, I can't tell whether this could raise your rates to something humongous (like $60,000 a year), because there is some sort of cap on individual rates in some sense. But I can't find out what that cap is based on the information I can find on the web. If you live in this state, you should definitely find out by calling the insurance department and asking questions until you get the answer. The high-risk-pool has annual rates plus stopless up to about $15,000 a year per person. DANGER--ALL:As I read it, the high-risk-pool requires 3 months of medical un-insurance to enroll. This is unacceptable, and could bankrupt you. As I read it, the high-risk-pool has a $100,000. yearly maximum payout. You pay the rest. This could easily bankrupt one. The web-sites I see are unclear about pre-existing condition exclusion, even if you have continous prior coverage. The Georgetown information suggests that there may be an exclusion. You should double check the information above. If it is correct, my advice would be that people with assets to lose should avoid this state. NOTE: Though many states handle HIPAA=Kennedy-Kassebaum=Group-Coverage-loss coverage Federal mandates through offering such people the high-risk-pool, it appears to me that Tennessee doesn't do this and has the individual insurers offer policies. However, if I understand it correctly, this is where the vacuousness of Kennedy-Kassebaum kicks in. You must be offered a policy by each individual insurer if you have the correct type of prior coverage, but there is no limit to what they can charge you. High-Risk pool rates kind of expensive: up to $16,000 a year for a non-smoker (allow $4,000 extra for out-of-pocket maximum to total $20,000). Danger--Moving In: 30-day residency requirement, plus standard individual policy rejection requirement will cause people to have a period of non-coverage if they move into the state, except with immediately prior group coverage. The language of the pre-existing condition waiver is not absolutely clear. It looks like you are O.K. -- they will probably cover pre-existing conditions if prior coverage is individual. However, double check with them. The rules in this state are complicated, and I have not been able to find certain key details using the Web and the Georgetown/Kaiser site. Therefore, if you live in, or are thinking of moving into the state, and have assets to lose, you should check carefully with the Insurance Department. There seem to be certain mandates on individual insurers accepting individuals with continuous prior coverage, and non-exclusion of pre-existing conditions, as well as maximum rates that can be charged. (Unlike a form of "community rating", you are charged substantially more with a pre-existing conditon, but with some bound. I have been unable to find out what the bound is--you should call the insurance department and check.) HOWEVER, even if individual insurance within the rate bounds is acceptable, as far as I can tell, in the case of certain conditions, an insurer can still choose not to cover that condition at all. Further, there is some indication that there may be quotas for each insurer on very sick patients. Therefore, it seems that you can't count on being able to get an individual policy that covers all pre-existing conditions, even with continuous prior coverage. So you may have to use the high-risk pool, which the state does have. On the high risk pool, basically ability to enroll and have non-exclusion of pre-existing conditions seems sound for continuous in-state residents who have maintained prior individual or group coverage. There may be an exception in that I've noted mention that the Utah high-risk- pool has the potential to be closed to new enrollment. There may be some contingency plan, where that if this happens, individual insurer partly make up by some special enrollment criterion. You should check this. There may also be a tricky issue with the high-risk pool for in-state residents in that you have to have had involuntary termination of prior insurance if it is individual to get pre-existing conditions not-excluded for 10 months. If your current individual policy became much more expensive than the high-risk pool (but recall there are some bounds--perhaps this case can not happen), and you wanted to switch to the high-risk-pool for cheaper rates, then you might have to hold double coverage for 10 months. The rates on the high-risk pool are not that high, topping out at about $11,000 per person per year with stop-loss added in. There is a $300,000 annual maximum payout, which is much much higher than in problem places like PA and CA, but one could conceivably exceed it in a bad year. All in all, I think this state is trying to do well by its citizens, but they may still have left some gaps. Modified Community Rating? which assures pre-existing conditions don't affect your rates, or get you denied coverage, if you get a pre-existing condition (as long as you have previously maintained continuous coverage). If you lose your group coverage, Kennedy-Kassebaum (in VA without a state deferral to the high-risk-pool) forces companies to give you insurance without pre-existing conditions exclusions. DANGER--ALL:But in this state they can charge you whatever they have to to cover their risks based on your health, so there is no telling how expensive your policy will be. Based on the info I pulled from the Georgetown booklet and Kaiser site, there is no rate control at all. If you had continuous prior individual coverage in VA or another state, but say cherry-picking forced your rate on the current policy very, very high, if you have a serious pre-existing condition, it looks like you are stuck. A new insurer doesn't have to insure you, or can exclude any conditions for a period of time, and can charge you whatever it wants. There are insurers of last resort, Blue Cross / Blue Shields, which would give you a policy if your prior coverage is group or individual, but they have 10-12 month exclusions on pre-existing conditions, even if you have continuous prior coverage. (If in-state and cherry-picking has forced your rate to rise, you may be able to get out of this mess by holding double coverage for 10-12 months. Similarly for prior group, where, if you plan double coverage during your COBRA period you may be O.K.) However, if your prior coverage is individual and the company has stopped doing business in the state, you would seem to be stuck. NOTE: Since I didn't see last-resort-policy coverage information on the VA Anthem BCBS site, I did not examine rates or coverage caps on the BCBS last-resort policy. If you live in the state, or are considering moving in, you should definitely call the relevant BCBS in your area, to see if there are other problems, such as humongous rates, or the amazingly small $35,000-$60,000. annual caps on medical bills paid by the last-resort insurer, that I found in parts of PA for the last-resort policy. Each individual policy is sort of modified community rated (rates for all on the web at the state site) and can not exclude pre-existing conditions, but, unlike MA, NY, NJ, VT, ME they are not guaranteed issue -- they can turn you down even if you have continuous prior coverage. This makes it a different system than those 5 other aforementioned states -- you may get stuck without an individual policy, but in this case the high-risk-pool seems to be thoughtfully constructed so that you won't likely get stuck. The high-risk pool rates seem to run to about $14,000 a year (at high ages) with the stop-loss added in, if you choose preferred provider, which is better than many states. And the rules credit prior coverage. The only issue which I can see which may cause an interruption of coverage for a brief time is the requirement that an individual policy (using the state's standard health-status assessment form) turn you down to get in the high-risk-pool. If you lose your current coverage suddenly, or move in from another state, you might conceivably have a period of non-coverage while you apply for an individual policy, wait for rejection, and further wait for the beginning of the month for the high-risk-pool coverage to start. However, perhaps there are ways around this -- call the Insurance Department if this is an issue for you. All in all, by my assessment, this state has tried hard to do well by its citizens in the area of keeping the pre-existing condition problem from wiping people's assets out. Up to those details of possible short (month-or-two?) coverage periods (particularly if you are moving into the state) that you might be able to get around, and which, if they really exist, could still wipe a person out, they've done an effective job. Rates for the high risk pool run to about $15,000. plus add the $1600. out-of-pocket maximum, plus possibly add something for the $25,000. annual prescription drug maximum payout. DANGER--ALL: The $200,000. annual maximum in your medical bills that the high risk pool will pay seems dangerous to me. Also the $25,000. prescription drug annual maximum. Also, you would seem to have trouble if your individual insurer pulls out of the state or goes out of business. After applying for other insurance and getting rejected, the high-risk-pool will accept you but exclude pre-existing conditions for 6 months. There are some tricky issues for in-state residents with prior individual insurance that you should know about. If you have individual insurance, but insurer cherry-picking has forced the rate to more than the high-risk pool, you can get the high risk pool, but to deal with the 6-month pre-existing-condition exclusion (that does NOT credit prior coverage), you need to maintain double coverage for 6 months. There is a logically subtle issue that if you join the high-risk-pool, then get completely well enough and clear of the pre-existing condition so that you can get individual insurance, and do so, within a few months you relapse the the individual insurer pulls out of the state, you are going to get stuck without any insurance, as you can't rejoin the high-risk-pool within 12 months of leaving it. To avoid this risk, you can never leave the high risk pool once you join. Moving in from out of state: also add the 30 day residency requirement for people with prior individual insurance. Add the 6 month waiting period on pre-existing condition coverage even for people with continuous prior individual coverage, and you have a possible 7 months of no coverage for the pre-existing condition. High-risk-pool premiums run to about $14,000 a year, with an additional $2000. out of pocket maximum. That is better than many states. DANGER--ALL: For in-state people with continuous prior individual coverage, if your insurer pulls out of the state or goes bankrupt and you can not get other individual insurance because of your pre-existing condition, the high risk pool will take you, but exclude pre-existing conditions for 6 months, despite continuous prior individual coverage. Moving in to the state: yields more problems. There is a 3-month residency requirement, so if you move into the state with a substantial enough pre-existing conditon and need individual insurance, the high-risk-pool will exclude you for 3 months, and then give you an additional 6 months without coverage of your pre-existing condition. Rates can be pretty steep in the high-risk-pool, hitting $20,000 a year per person in the just-pre-Medicare age group, plus a $2,000. per person out-of-pocket maximum. (I am referencing the "Gold" plan, as the $500,000 lifetime maximum payout on the "Brown" plan seems too little.) The "Gold" plan itself has only a $750,000 maximum medical-bill payout, which I would normally flag with "Danger" (being under $1,000,000. ), but I won't flag it on the guess that medical costs may be less in Wyoming. For in-state residents, since the high-risk-pool will not exclude pre-existing conditions if you have sufficient prior coverage, even if individual, it looks like the problem of a complete lack of coverage for pre-existing conditions is OK (for people responsible maintaining continuous prior coverage). I am a little worried about the requirement that you have 2 insurance rejections if your current individual insurance company goes bankrupt or leaves the state -- it may take too long to get the rejections and you may have a short gap without coverage. You should check with the insurance department to see if this is a worry. Danger--Moving In?? :I am worried about the requirement of 2 rejections if your prior insurance is individual and you come from out of state. You may not be able to be rejected out of state, so your rejection may have to thus be in Wyoming. This may conceibably cause a gap of coverage when you move in. Further, if it is too long, then the 12-month pre-existing-condition exclusion may not credit your prior coverage. You should check with the Insurance Department. BEWARE PEOPLE TRYING TO SELL YOU SOMETHING BESIDES INSURANCE if you can't get insurance. They might call it a "Plan", but not an "Insurance Plan". It may be some marketing arrangement where you pay for your own medical care without any insurance, but get a discount of some sort. I have no idea of whether these plans tend to help, if you have no insurance at all. Just be careful that you know what you are buying. Also, watch out for plans with really limited coverage, and/or that are not full comprehensive health insurance plans. Who am I? 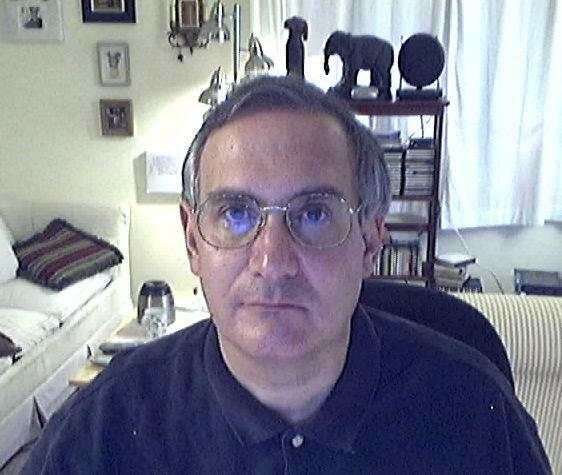 I am Norm Spier, a mathematical statistician who has spent most of his life in Metro NYC, Upstate New York, and Connecticut. Recently (3/2010), I moved from Vestal, in Upstate New York, to the Five Colleges area of Massachusetts. May we suggest you consider putting a link to this site on your site? (Google and some other search engine use number of referring sites to determine placement in their search results. Giving this non-vested-interest site a link helps get the message out about the true financial and health high risk of current pre-existing-conditions regulations. --And Many of Them Just Want Your Money! SAY I AM PERMANENTLY HARMED IN A CRIME? Can they count that as a pre-existing condition? Yes. Even in a terrorist attack? This site is partly supported by donations (with very modest supplementation by pay-per-click and other advertising revenue). Also, please note the above information is copyright Norman A. Spier.